Merijn te Booij is the chief marketing officer at Genesys. As CMO, Merijn leads the global marketing and product management organization. 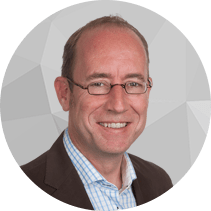 He is responsible for developing and executing the company’s technology vision, product strategy and go-to-market strategies to drive continued business growth and brand awareness.Merijn joined Genesys in 2000 as a sales consultant for its Europe, Middle East, and Africa region. Prior to his current role, he served as vice president of professional services, creating and leading the Genesys Business Consulting practice.Prior to Genesys, Merijn gained extensive experience in running contact centers, having managed contact center operations for the Dutch Automobile Association in Holland.Merijn holds a master’s degree in international law from the Rijksuniversiteit Utecht in the Netherlands.